I stole something from the internet. Well it was facebook actually. I am not frightened to tell you and I will not beg forgiveness either. You see I feel entitled to take what I did. I kinda own it in a roundabout way. When you nurture, feed and watch something or someone grow, then it belongs to you for life. Right? What did I steal? I hear you ask. The answer is simple. It was a photo. A nice photo of someone I love. One day a week or so ago, there were visitors to her place of work and my Elly being my Elly, was right there where it happened. The six Nations Rugby Cup, no doubt accompanied by some brawny players came to visit. As a young lady who played rugby while studying in France at University, she not only played on a ladies team, but on one occasion, played on an all male team against an all male team. So I suppose you cannot fault her for taking the opportunity to hold that cup in her sweet little hands. It is a lovely photo of her and I have added it to my desktop, so when I open up the laptop in the morning she is smiling at me (just like she did as a little girl) and the last thing I see before shutting down for the night is Elly. It brings her closer to me, but as I head south today I will see her for a real hug sometime in the next few days. I wonder if Buffy knows I will be around at some stage during the week. Thank you Elly & Brogen for calling in, Real hugs are way better than any photo! Now for breakfast and a little planning to see what mischief we can get up to today. Blogging & blog visiting might be light for a few days. 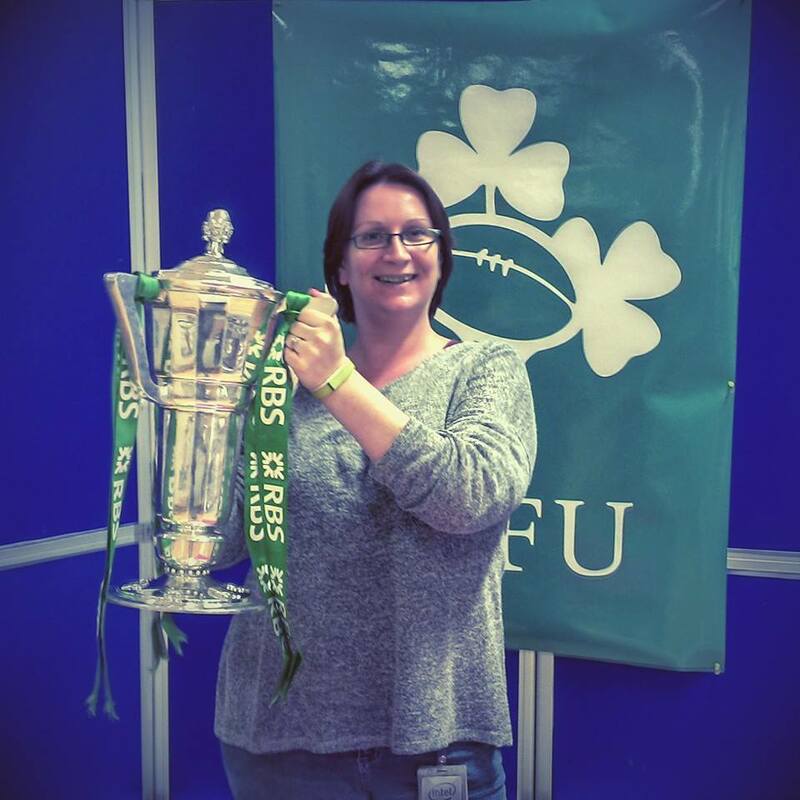 This entry was posted in Family and tagged Family time, RBS 6 Nations Cup on August 27, 2014 by Grannymar.